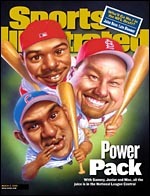 Millions of people worldwide look forward to seeing what the next Sports Illustrated cover is going to be. 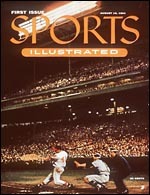 And SI's commitment to featuring baseball’s greatest sluggers was made abundantly clear when it spotlighted 500 Home Run Club member Eddie Mathews hitting a titanic blast out of Milwaukee’s cavernous County Stadium on the cover of its inaugural issue on August 16, 1954. 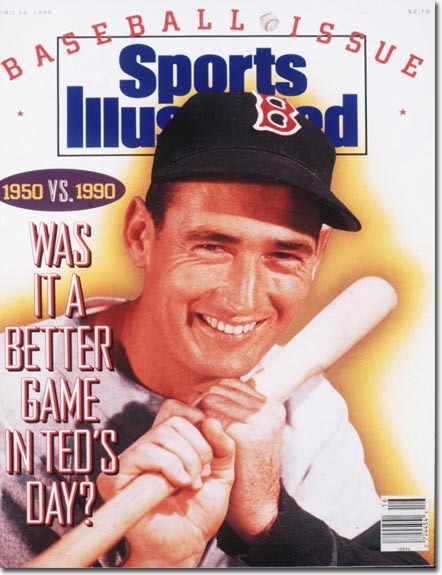 Since then SI has featured 500 Home Run Club members more than 50 times, including seven times for the most popular slugger Ted Williams; followed by six times each by Reggie Jackson and Mark McGwire, and multiple cover-story appearances for ma ny other club members who shined as the greatest stars in baseball’s constellation. 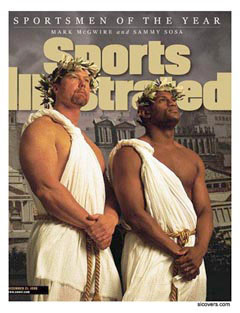 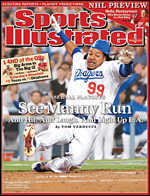 SI’s Dece mber 21, 1998 was the first to feature two members of The 500 Home Run Club together, when it’s Sportsman of the Year issue featured Mark McGwire and Sammy Sosa wearing togas and Roman headpieces. 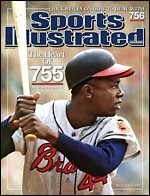 Ted Williams, Hank Aaron and Babe Ruth have been graced retrospective covers saluting their lifelong achievements and impact on America’s game. 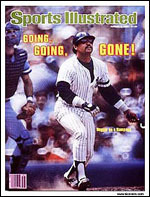 The newest slugger to join the club, Gary Sheffield was shown in the center of the melee as his (then) team, The Florida Marlins, celebrated the franchise’s first World Series Championship in 1997.